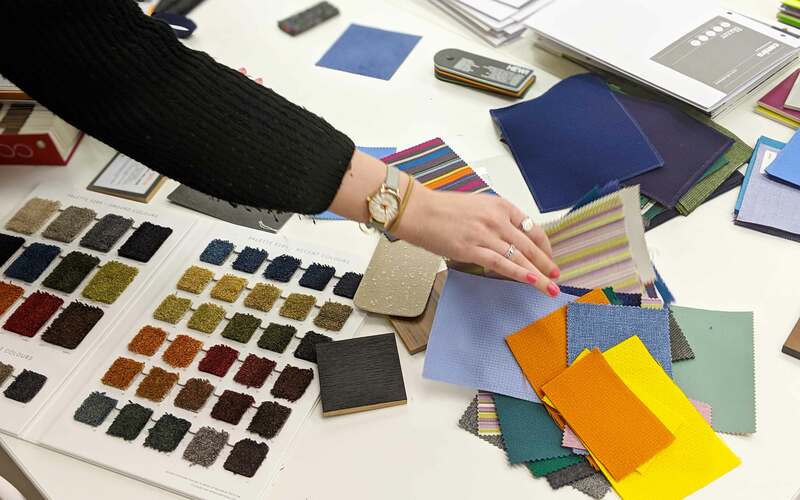 Stefanie Partington, Associate Interior Designer at NPS ran a workshop for second year BA (Hons) Interior Design students. 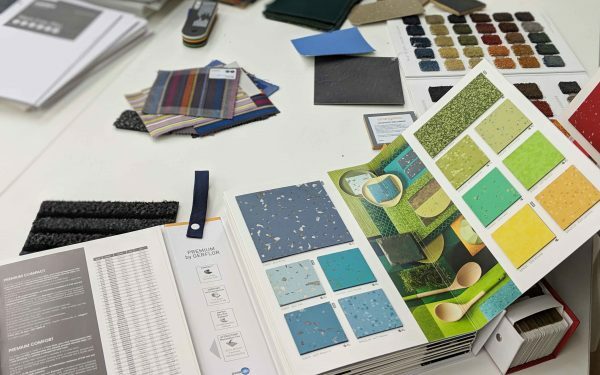 Second year BA (Hons) Interior Design students recently took part in a materials workshop ran by Stefanie Partington, Associate Interior Designer at NPS. 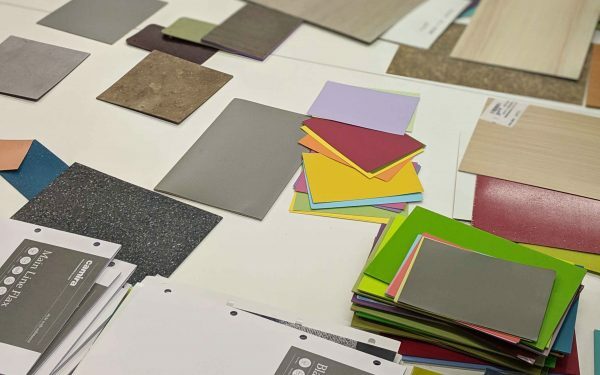 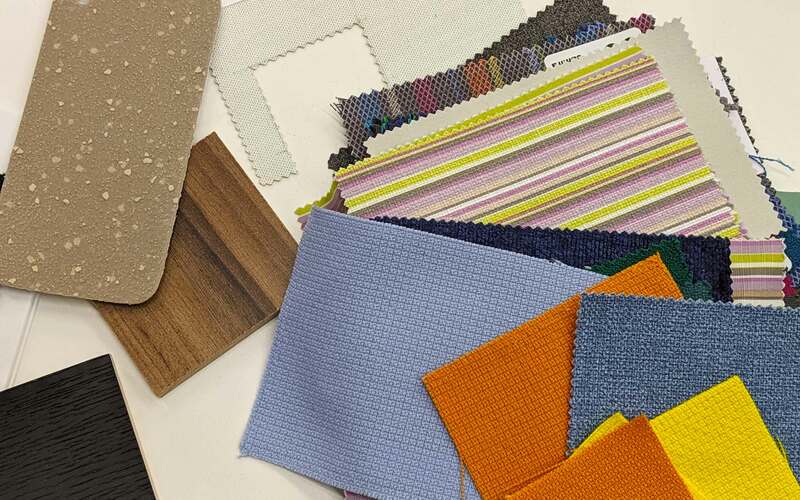 During the morning session the students spent time working in teams with Stefanie exploring a variety of materials and finishes from vinyl to carpet, designed to help students make a stronger connection between the concept and final specification for their current projects. 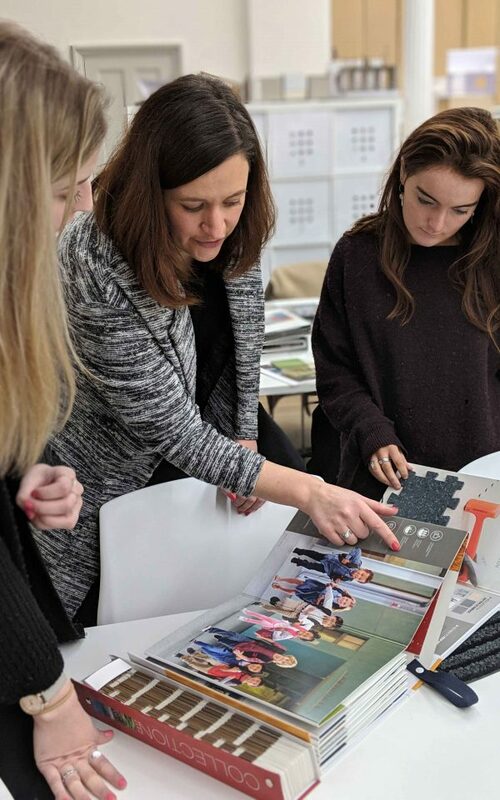 During the afternoon session, the students each had one to one time with Stefanie, who reviewed student work and advised them on materials and finishes for their projects. 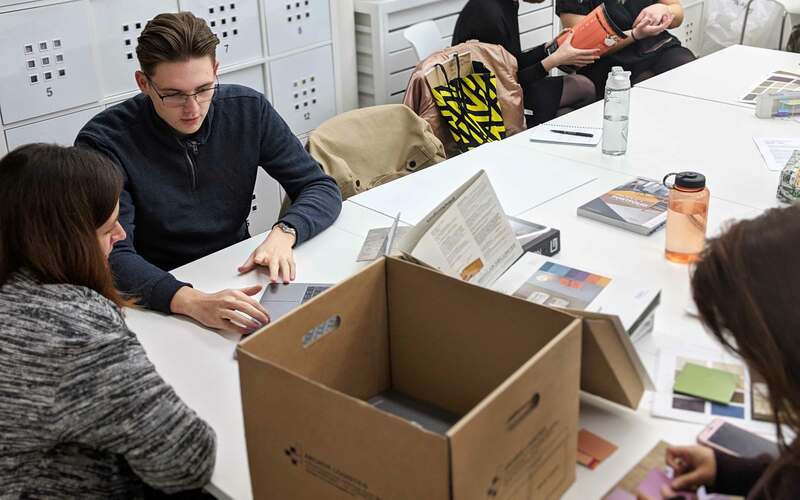 “The students were extremely engaging, I was taken back by their genuine interest and inquisitive approach and the range of responses was great. The varied thought processes behind their design projects really impressed me” said Stefanie.